Join us in welcoming the Rev. Rebecca L. McClain to the Diocese of Olympia. The congregation of Grace, Lopez Island has called Rev. McClain, who will begin her ministry on June 1, 2019. Rev. McClain is a lifelong member of the Episcopal Church and was ordained in 1985. She has served as priest at the congregational, diocesan, and national levels and retired after completing her responsibilities as Interim Dean of Saint Paul’s Cathedral in San Diego, California. In every role and position, her life and work has been shaped by the conviction that all creation is holy and every human being is beloved of God. Through the lens of Jesus, she strives to see as God sees and seeks to serve as an agent of God’s love. Rev. McClain served as Dean of Trinity Cathedral in Phoenix, Canon to the Ordinary to the Bishop of the Diocese of Arizona, Executive Director of the Office of Transition at the Episcopal Church Center, Executive Director of the Center for the Theology of Childhood, Canon Missioner (Interim Dean) at Saint Mark’s Cathedral in Seattle, and Interim Dean at Saint Paul’s Cathedral in San Diego. 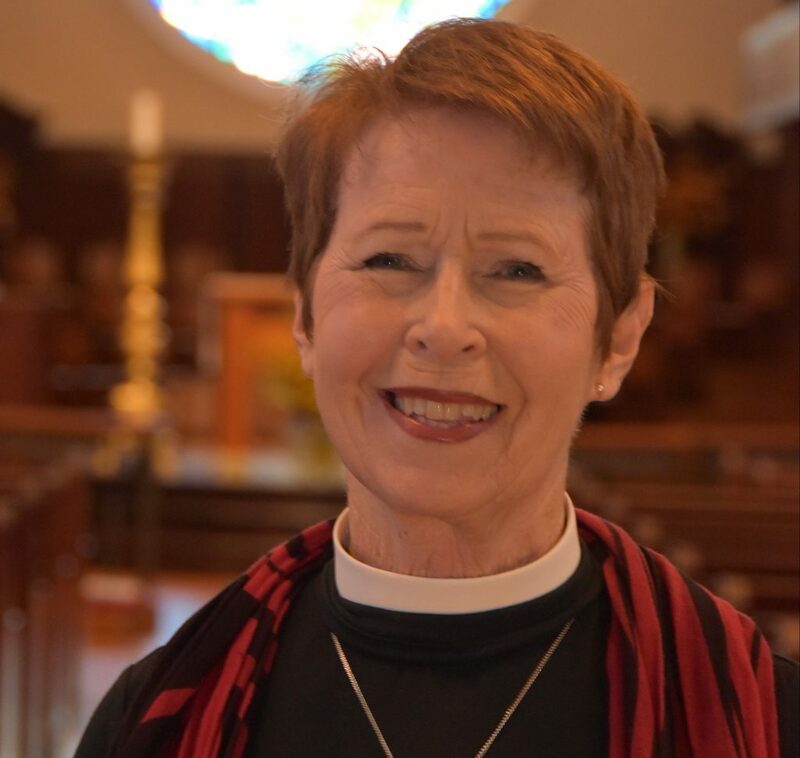 In retirement, she has been assisting at Trinity Cathedral and Christ Church of the Ascension, and continues to serve as a consultant to congregations and non-profits in transition and strategic planning. Her passion for communities committed to transformation and change remains her guiding star. She is currently serving as the Chair of the Board of the Grammy Award winning Phoenix Chorale and is leading the search team in the selection of the next artistic director. Her role with the Godly Play Foundation continues as an emerita board member and she shares the vision of equipping the children of God at all ages and stages of life with the language of the Christian People. Last year her book on using Godly Play with adults (Graceful Nurture) was published by Church Publishing Incorporated. In January, the Cathedral Chapter voted to name her Dean Emerita of Trinity Cathedral. Rev. McClain has three grown children and four grandchildren. They are the joy of her life. She shares her home with three Tibetan Spaniels, staying grounded in the daily rhythm of life with dogs. Again, help us welcome Rev. McClain to our diocese. Wow! Fantastic. I hope we at St. Mark’s see you from time-to-time. I will have to make a visit to Lopez! Welcome (back) to The Diocese of Olympia.